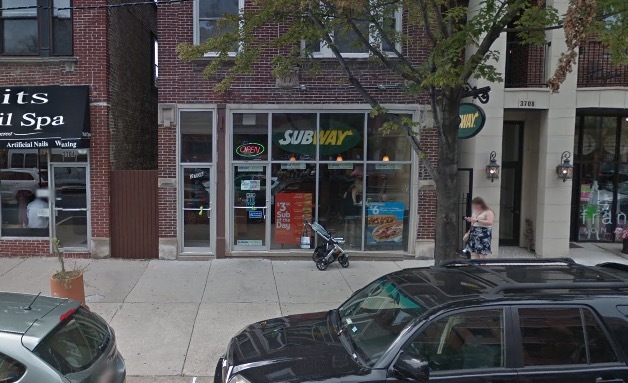 LAKEVIEW — A Southport Corridor fast food restaurant was robbed by an armed man on Tuesday evening. Police said the man entered the Subway at 3706 North Southport just before 10 o'clock, apparently with a gun in his hand. He made his way to the store safe, collected cash, and then ran out the back door. Police described the offender as a black man between 35- and 45-years-old who was wearing a hat, a black jacket, blue jeans, and carried a backpack. 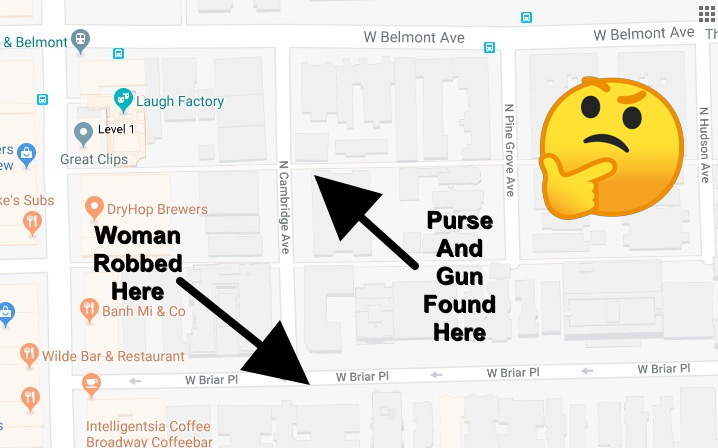 LAKEVIEW — A Lincoln Park woman was robbed at gunpoint early Sunday in the 500 block of West Briar, police said. Around 1:30 a.m., the gunman took the woman’s purse and fled northbound on Cambridge. The suspect was described as a black man who stands about 5’10” tall and weighs about 150 pounds. He had long dreadlocks and wore a red shirt, the woman said. Perhaps not coincidentally, yesterday evening a man reported finding a woman’s purse with a handgun inside near a parking garage on Cambridge just north of Briar. Police recovered the items and are investigating. UPTOWN — Police say a man was robbed of his wallet and phone near Montrose and Magnolia early Tuesday. Around 1:30 a.m., the man was approached by an armed offender who took the victim’s property and fled northbound. The suspect is a black man in his 30’s who stands about 5’7” tall and weighs about 155 pounds. He was wearing a black baseball hat with a two-tone sports jacket, the victim said. NORTH CENTER — A woman told police that a complete stranger wearing brass knuckles punched her husband in the face and broke his nose Tuesday afternoon in the 1800 block of West Irving Park. The victim was beaten up for no apparent reason and the offender ran away, according to his wife. An ambulance crew treated the husband for his injuries. Police said the suspect is a Hispanic man who stands about 5’5” tall and weighs 140 pounds. He was wearing large hoop-style earrings, a white tank top, and white shorts. He was last seen heading toward the Irving Park Brown Line station around 1:10 p.m., police said. LOOP — The Dunkin’ Donuts at 201 West Lake Street was robbed at gunpoint shortly before 4 a.m. today, according to police. The gunman entered the store, took cash, and fled in an unknown direction. He is described as a dark complected, 6’4”-tall black man who was dressed in all black clothing and a hat.